They are basically left free to do anything they want in any scale they want. To beat cheaters on this scale, you need to fight it with the major METAs and other top 20 alliances. If we all pool together our resources to completely wipe the leadership and main members of the alliance off the map while taking out their bots in coordinated actions, the rest will leave. With the combined forces of the top 20 alliances, MAD does not stand a chance and they know it. I know someone in mads who spent gold to move their whole army 4 times so far and obv they will do more. 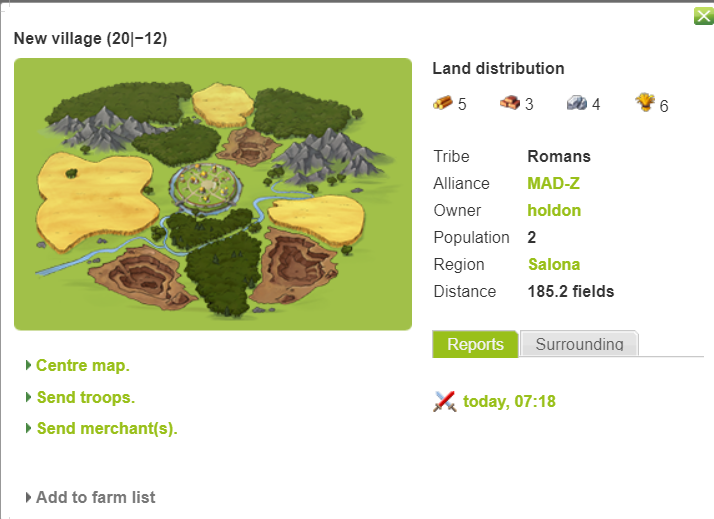 Why would travian want to take action against anyone who golds like that? True...we shouldn't trust travian will take any action on those golding cheaters in the future. Guess I should go to play other online strategy games instead of this one. It's so stupid to spend 4 or 5 times of the money on this game which only last for less than a year and with bunch of cheaters who never get banned since they spent more gold than anyone. I mean, its reasonable for travain to make money and help support running the server, but I will not sit here and watch travain sick the duck of the cheaters because of the money, letting people break the rules that obviously. Post was edited 1 time, last by Travwander ( Apr 13th 2019 ). I've just been really disrespectful and rude to an ex-friend who is currently on mad alliance on discord. Since I know they will read this: I meant every word I said about mads to them. oh and since they dared me to post this on forum too, I also think a player on TM was cheating on early stage on game as i saw some inconsistencies with it and I reported it to MH. I didn't check to see if anything was done about it or not. I'm just not sure how mads player dare to compare what they are doing in alliance scale to what anyone else ever did in history of travian and dare to still talk about anyone else. Why do you assume that? were you cheating early game? Strategy is important no matter PTP or ww servers, we are pre-made not individual players alliance like SYN. The pre-made size is double than 5x. Investment is important in any on-line game, I purchased gold for good attachers under my group. I can share the MAD org for your reference, feel free to compared to SYN. 3 guys handle diplomatic activity, 3 groups leader and each group has 15-20players. Others are new to game or individual. Individual must to push hammer everyday. I am the group in salone and my mission is to win salone in server time 40days, no longer than 50days. I don't think you have a plan to secure this 200 area, that's why you are below 50% at this moment. Let me teach you the basic discipline." if you cannot chief/destroy your target, don't send your army to exchange without any scout report." If someone have time, you take more effort and i will support you gold. That's the major reason you can see fast new villa and merge, i believe it's normal practice in most of experienced players. From education wise, we have website, bbs(a kind of reddit) to teach new player how to play the game. There are a couple versions of SOP to teach new guy how to expand 2nd village within 72hours. One of the crazy player posted over 200+ to analyze what are the key factors to develop your army. In case you don't know the enemy, you lose the game already. Post was edited 1 time, last by playingwithfire: insults/no warning ( Apr 14th 2019 ). BRAGOD I will not say which account it was. You're free to guess whatever you like. You all keep mentioning it ok? Yes Mad out grew SYN. You have more than 50 villages more than us combined. 2 - Cause you're five time more accounts than SYN. Yes Mad has better offense operations and offense pushes than SYN. SYN has been in a fight with basically every other alliance on server cause of the early lead we had maybe beside PB which they also want me dead pretty sure cause of another server. Our top players all messed up against mads individually. The total amount of gold SYN spends is basically nothing compared to MADs. The Defense organization lacks the discipline in SYN. Most of the players don't respond to calls in time. We can't get enough standings to kill your hammers and since you can move your armies as much as you like to 1 tile away from our villages and the speed of server it was impossible to use what we got against mads on time. I never said I don't admire your organisation. I actually truthfully admire it. But that has nothing to do with the message I posted in last page or the amount of godly crippling cheating your alliance is doing at the same time. I wish you could stand back for just 2 minutes and realize what is wrong with it and how all of them ensure no other alliance has any chance to fight you back. But no, You prefer to not look at that aspect of your alliance. Any player who stays in mad is worse than the actual cheaters there tbh. Post was edited 1 time, last by playingwithfire: ban discussion/no warning ( Apr 14th 2019 ). Post was edited 1 time, last by playingwithfire: insults ( Apr 14th 2019 ). We also no longer make any explanation, yall continue to cover the eyes, loudly say that others are liars, in fact, are talking about their own. Why are your wings (MAD-D, MAD-Z, HK and some MAD-F) full of bots? Even there are mostly only bots left, why are you keeping them as confederate? who changed their village names as 001 002 003 with their third largest village as another random name, explain this too. Post was edited 1 time, last by playingwithfire: removed racial remarks and accusations of cheating ( Apr 14th 2019 ). but there is no chance of rebuttal, all right! 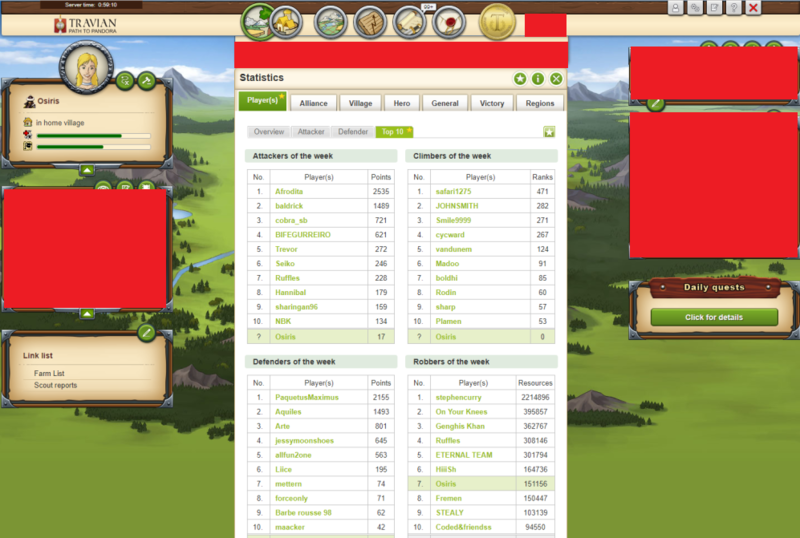 To be fair though, your team is not the only one playing unfairly, although your team is doing it on a scale that I have never witnessed before on a Travian server. Trav_Admin_NL Trav_Admin_IT Trav_Admin_CL I write to you now to put a stop to this MADness. Gold is OP enough as is. Cheating with Gold is unbeatable. It is time Travian Games stop lining their pockets with the sorrow of a million players before all of your core players quit the game - leaving you with nothing but a few cheating golders who will leave as soon as there is noone left to fight. Frozen Angel That thing I said about the top 20 alliances working together, I think we can forget it. TM and PB only care about their own regions as far as I can tell. Post was edited 1 time, last by playingwithfire: fixed quote/removed reply to quote ( Apr 14th 2019 ). Ah yes, the best players in the world, whose primary hammer had literally no effect on the outcome of the server, who got his secondary hammer chiefed at hardly any cost, and who had 20 tech accounts banned at the start of the game and a whole alliance to serve him. Yes, indeed, you are very skilled. If you guys haven't played the finals, the server where tech accounts (bots or called it how you want) are allowed, and the multihunters aren't applying the rules, just play it to see for yourself. People are farming insane ammount of resources, allowing them to train in GB/GS in very early server. Why would they ban on regular servers, cosindering there are the SAME rules ? If you guys are done fighting, could you please show us the reports i.e Hits of Genghis Khan and other major events? Finally someone asked some interesting questions. If they are really bots for farming nobody needs them in confederacy. In this case they are in and the only reason is, they are NOT bots. There are people running those l-number accounts. Whether you believe or not is non of our business. Wait how was his question interesting and the accounts I mentioned are not interesting? so if someone points to an account that has real people behind it and calls it a bot - that one is interesting - but if someone else points to your bots that's not? +1600 gold for UT and 1600 for NAP , full farmlist goes out within 1 min in every 5-6 mins without stop . all for that signature screenshot , definitely worth it . better than doing photoshop . atleast people can talk now that someone is good enough to use bots along with buying arties and naps with gold and getting a billion raid in week . must get such pro in team to win . 10/10 recommended . Post was edited 1 time, last by eatie ( Apr 14th 2019 ). TM me ally is very good and Syn too great wars will come ;). Post was edited 1 time, last by Ridder Huma ( Sunday, 7:34pm ). haha yeah now you have me convinced, still maybe the point is for the MH to take notice of this. It would litreally be impossible to raid this much without it coming from one big account. I can testify this isnt a PB account that hes raiding from, but can still be a major account which went inactive.